2017 was a good year for introverts, at least when it comes to books. 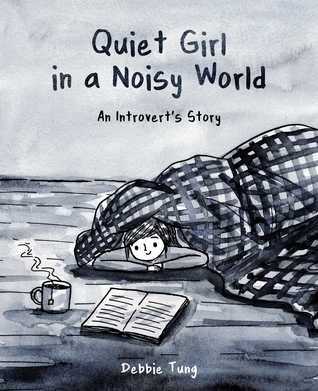 There were a few cool books published about introversion. I came across three lovely comics and one essential nonfiction. Before I announce these books, let me explain why we need to read them. I find that I often have to convince people to read books or articles on this topic, so here goes. If you are an extrovert, reading about introverts and introversion will help you make sense of the introverts around you. Chances are, they either aren’t sure how to explain the concept or are not comfortable to explain it to you or they don’t care about what you think of them. Reading books won’t get you to understand them fully, but it is a start. If you are a manager or a lead in an organization, it is important that you understand that not all your employees are the same and books and/or articles on introversion are a must. If you are an introvert like me, then I highly recommend you to check out these books as well as Quiet by Susan Cain. You are probably wondering why introverts should read books about introversion when we ourselves are living embodiments of the concept. Perhaps to feel good about ourselves and take it as a justification to avoid social situations? No! 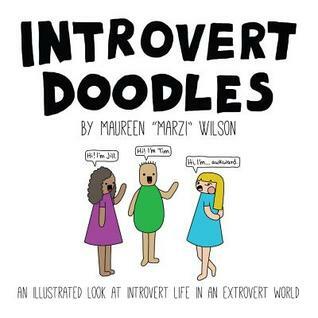 The reason books on introversion are good for introverts is because they make us feel like we fit in somewhere, a feeling that a lot of introverts may not have had in their real life. When everyone around us tells us to shape ourselves to fit a standard mould, we may think that there is something wrong with us. Being able to relate to a book gives a sense of peace that there are people like us. This will make us realize that it is perfectly alright to not conform to popular social norms and we won’t beat ourselves up anymore for being who we really are. Knowing that it is okay to be ourselves is a revelation in itself. One thing to keep in mind is that it is easy to slip into a mindset where one justifies every behaviour as a part of their introversion and doesn’t take steps to improve. For example, instead of saying that we won’t participate in public speaking because we are not naturally adept in that activity, we could focus more on it to become better at it. As long as we strive to be the best version of ourselves and not give up on something because we aren’t naturally strong at it, we are good. In that aspect, it is actually very important to read up on introversion and get acquainted with people like us so that we know what our strengths and weaknesses are and we can target areas for development accordingly. The above comics are quite relatable for introverts. I found myself smiling and/or nodding my head in agreement throughout the books. I felt like the authors spied on my life because almost all the pages were relatable. I had either experienced the same things or could picture myself behaving the same way in the given situation. These were so much fun to read. 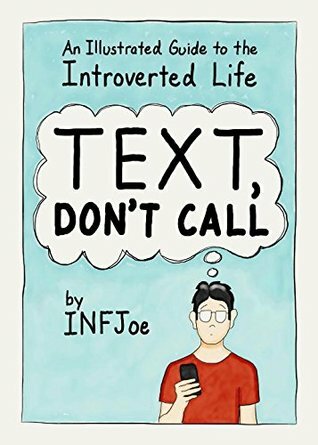 I would recommend this book to all introverts. 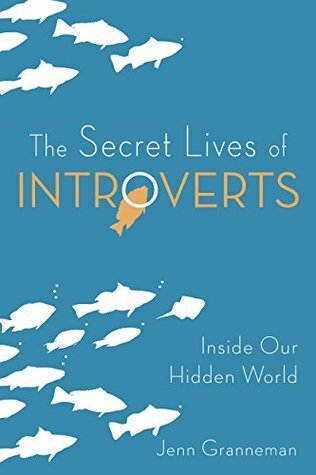 It gives an insider view of the introvert’s inner world and offers tips on leading life as an introvert. Although I was aware of most of the content because I’ve been actively reading up on the topic, it was still a good read. If you are someone who doesn’t stalk Introvert, Dear and other similar sites, you will enjoy it more. Have you read any of the above books? If yes, let me know what you thought of them. If there is any other book on this topic you would like to recommend to me, please comment below. New to the concept? What better day to explore it than today, World Introvert Day! So go on and read up on the topic. If you are an introvert, I hope you get to indulge in some alone time, do your favourite activities and revel in your introversion. I’ve read Quiet, but none of the rest — adding to the list! I didn’t know there was a World Introvert Day! I’ve had a wonderfully introverted start to 2018.